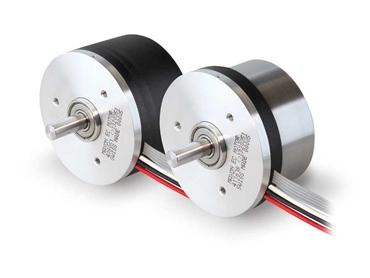 Maxon Motor Australia presents the new EC 60 flat motors featuring the MILE encoder and offering high versatility, power and robustness. The new EC 60 is the ideal drive in a wide range of applications, delivering high nominal torque on high-dynamic positioning tasks with superb repetition accuracy to robustness and insensitivity against environmental conditions. The multiple windings for battery-powered and industrial applications as well as the flat design for small spaces enhance the versatility of the EC 60. The MILE encoder or Maxon’s Inductive Little Encoder is an extremely small inductive rotary encoder that makes optimal use of the flat motor in high-precision applications and positioning tasks. Its operating principle is based on the detection of high-frequency inductivity, which generates eddy current in an electrically conducting target. The EC 60 flat motors deliver high performance in battery-powered mobile applications as well as in the industrial field, such as in variable flow valve drives, dialysis systems or direct drive centrifuges with extended service life and large radial loads.